I generally don’t bake. 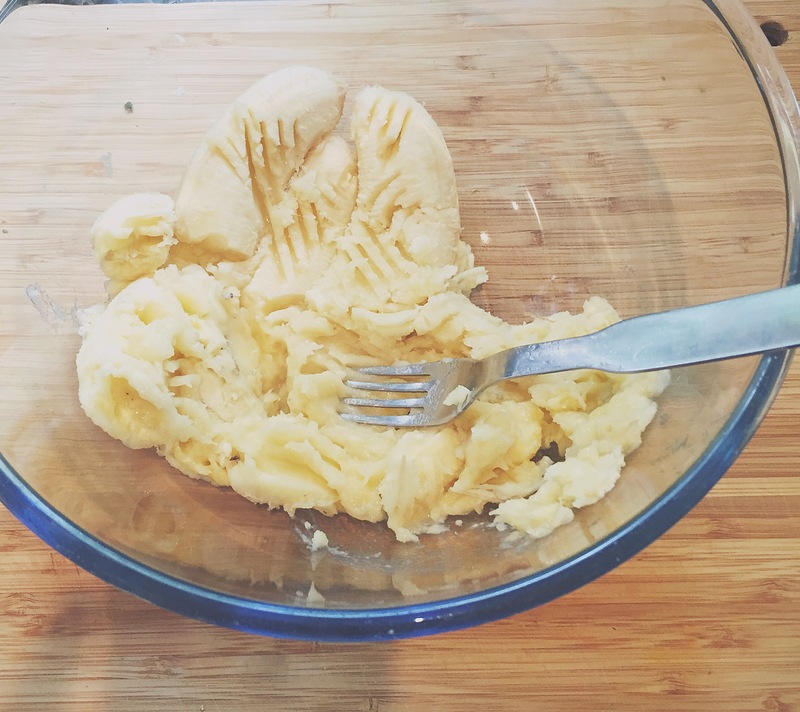 Baking doesn’t suit my “let’s just add this see how it goes” personality and since I can’t have gluten, eggs or most dairy I just find baking too hard to get right. 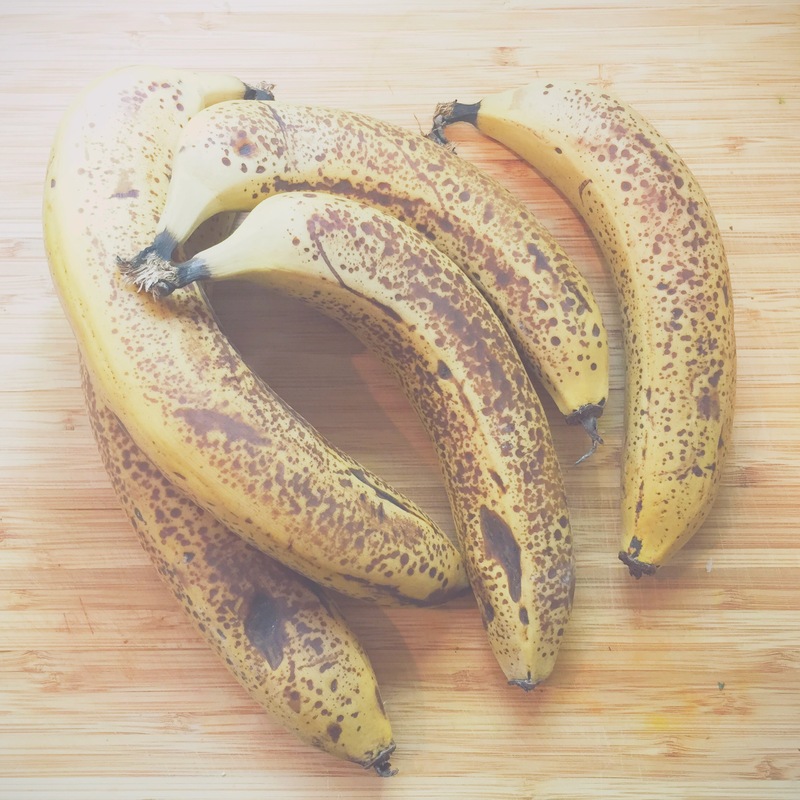 But there was a banana situation that needed to be dealt with, and I am seriously using any excuse to procrastinate about starting my planned spring cleaning while my husband is overseas for the weekend. Rather surprisingly, for a change, my free styling baking method worked! When I looked in the oven at around the 35 min mark and saw that it had risen to rather epic proportions, I didn’t hold much hope. 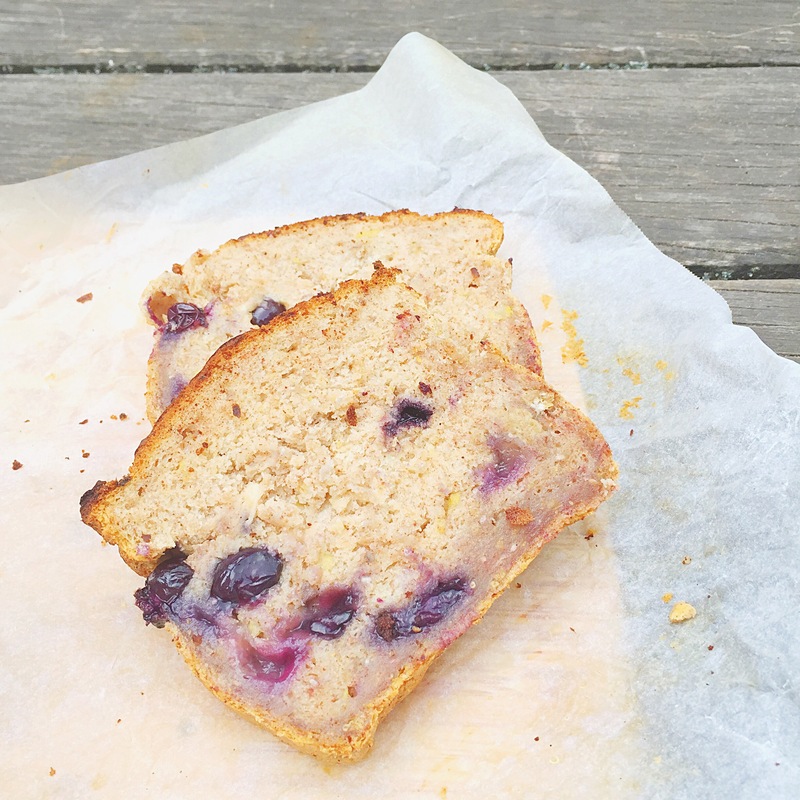 But while this isn’t pretty, it is hands down the best banana & blueberry bread I’ve had in ages, super light, soft & moist (I really hate that word, but can’t think of another). I have tried both flax & chia as egg substitutes before with not awesome results, but this time I decided to add both together, it seems to have worked really well. It isn’t overly sweet, I haven’t had any refined sugar or sugar substitutes in a month, so I didn’t want this to be too sweet. I’ve lost my taste for sweet things, I considered not adding any sweetner since the bananas are already sweet, but decided that a treat wouldn’t hurt. 1/2 cup maple syrup (or honey) use 3/4 cup if you want it sweeter, I don’t like it too sweet. In a large bowl add all the ingredients and then gently mix until well combined, don’t over mix. 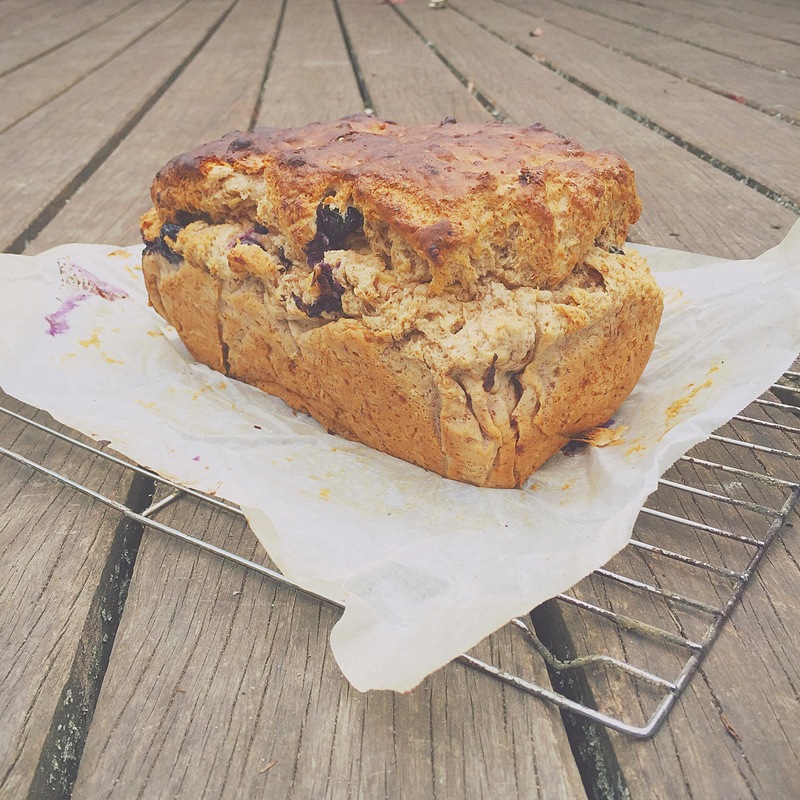 Line a loaf pan with baking paper, pour in the mixture and flatten out the top. Pop in the oven for 40 mins, check with a skewer to make sure it’s cooked through, if not pop it back in the oven and keep checking. Cover with alfoil if getting too dark on the top. Then let it cool on a rack before slicing. 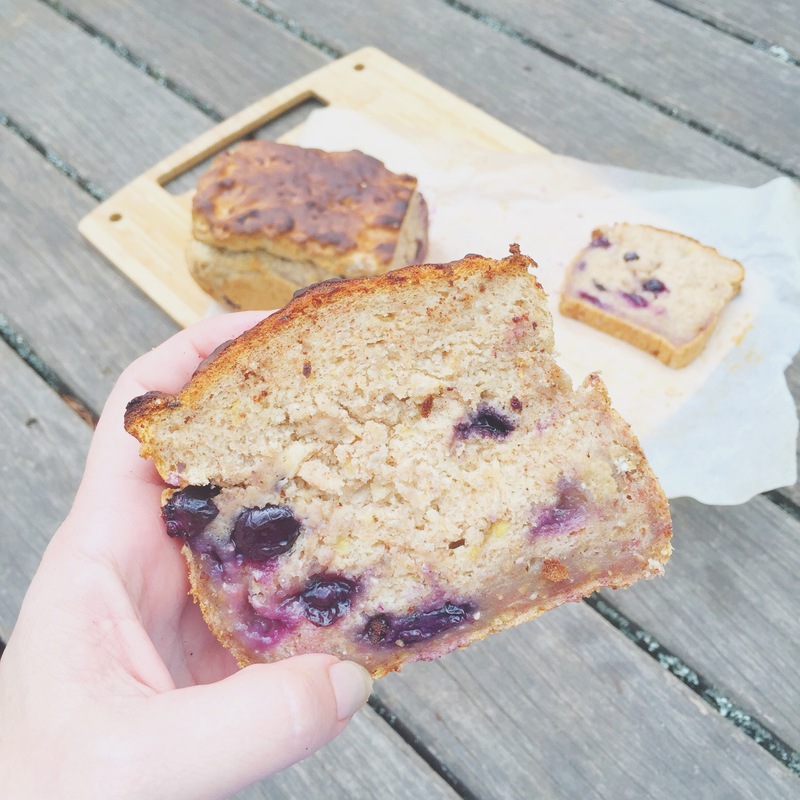 Wow, major kudos to you for baking at all while having to avoid gluten, eggs, and dairy! I can usually only deal with having to omit one of those things at a time. This looks marvelous!